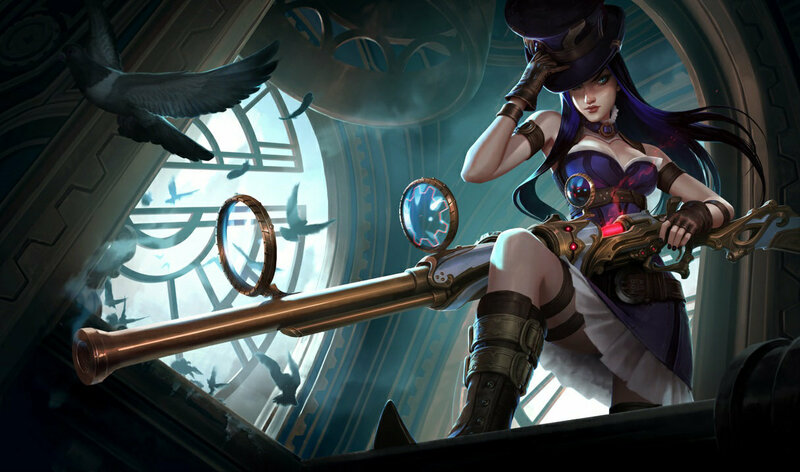 Over the last three-plus seasons, marksman have had to deal with a lot, from the sudden rise of lethality to the Ardent Censer meta, to last year’s complete revamp of critical strike items. Well get ready for more change, because crit items are being updated again. Some of the changes will feel familiar—Infinity Edge for instance provides flat crit chance like it used to. But there’s lots of other things that are changing. The first is that Infinity Edge rushes will now be viable again. Under the previous system, Infinity Edge boosted crit chance but didn’t provide any of its own. You can’t boost something you don’t have though, so it was never a first-item option. It’s build path is a lot more flexible as well. If you don’t have 1,300 gold, that’s okay, because it builds out of a B.F. Sword, Pickaxe, and Cloak of Agility just like it used to. It gives flat 25% crit chance and no longer converts crit damage to true damage. Instead, it boosts crit damage by 25%, down from the 50% it provided before last year’s changes. Infinity edge is now a more viable early option with boots, but isn’t as good late. Which is why another later-game item is getting a slight boost. Riot is boosting the power of the un-upgraded Last Whisper as a way to provide some punch without investing in a fully complete item. 10 more AD is nothing to scoff at and the 20% armor penetration is great. The fully upgraded Lord Dominik’s Regards or Mortal Reminder will keep some of the increased AD, both getting boosted by 5. The point is that marksman will have to think about when and how to mix other items into their crit builds. Both of these items are getting major reworks and are being fitted into the crit category. Phantom Dancer will feel a lot different—the 12 percent damage reduction that it gives now is useful, but it’s hard to measure that in game. Getting a shield and low health? Now that’s super impactful and could boost champions like Yasuo and Tryndamere who rush this item and love to all-in fight. The question though is, as a crit item, is it really a better early game option than the other Zeal items? On its face, it doesn’t appear so. And late game, when surviving becomes important, it’s not clear this is actually better than Guardian Angel of Maw of Malmortius. @RiotPhRoXzOn imo if you want it to be feel than better than now, then this is it. If it’s intended to add creativity to builds I dont think this is it. I dont think ADCs will find innovation in build paths till riot skews the gold numbers dramatically acrosd items. This item is being reworked some to provide some CDR, crit chance, and mana, benefiting ability marksman like Ashe and Sivir. The Essence Flare effect, which is now called Awakened Dragon, is being put on a new item, Spear of Shojin, which is making its appearance on the Rift after being introduced in Nexus Blitz. This will now be a good early- or mid-game option for AD casters and bruisers like Renekton or Riven that rely on their ultimates to all-in. It might also be broken on Lethal Tempo Yi. The old Stomrazor became a mandatory rush item on crit ADCs. Even though it set the overall build behind, if one ADC built it, they other had to as well in order to not fall behind in lane. Now, Infinity Edge fits the niche of a greedy rush item while Zeal items are more accessible. So Riot is reworking Stormrazor into a utility item that buffs Zeal effects and is meant as a mid or late game addition. We’re saving the non-PD Zeal items for last because not much is changing. They’re getting slightly cheaper, losing some crit chance so you need four crit items to reach 100 percent, and Shiv is getting a buff. And that does it for these crit changes. Will it be enough to balance the bot lane and bring crit marksman back to the meta? Maybe, but if history’s a guide, we’re probably in for more changes in the near future.